A big sound stage and stunning bass are what you expect from a Soundbar, and with the SK10Y from LG, this idea becomes reality. Dolby Atmos is the icing on the cake of the Soundbar. So nothing stands in the way of home cinema enjoyment! Describe the room where you are. Even music lovers and sound obsessed would probably begin with the visible. Spaces will always have their own sound but rarely penetrates our consciousness. Unless you’re being swept away when the music in the concert hall sweeps us or by the blaring bass of the stereo as you moved through space. Maybe you’ve enjoyed participating in a lively discussion in a public place as well as in confined meeting room? 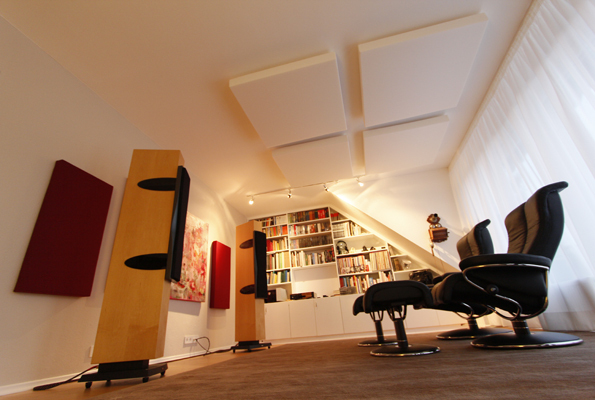 To inform yourself on the strain on your nerves to hear sound in certain spaces and by what laws spaces otherwise react to sound, please refer to our article on some key terms on the interesting theme of room acoustics. Have you experienced this before? The system is installed. The speakers are wired. All components have been carefully selected. And yet the feeling of satisfaction still won’t adjust properly. Maybe it’s time to look beyond the edge of the stereo to the room with its acoustic properties.